October | 2014 | The Intraracial Colorism Project, Inc.
People of Color and the Power Within. 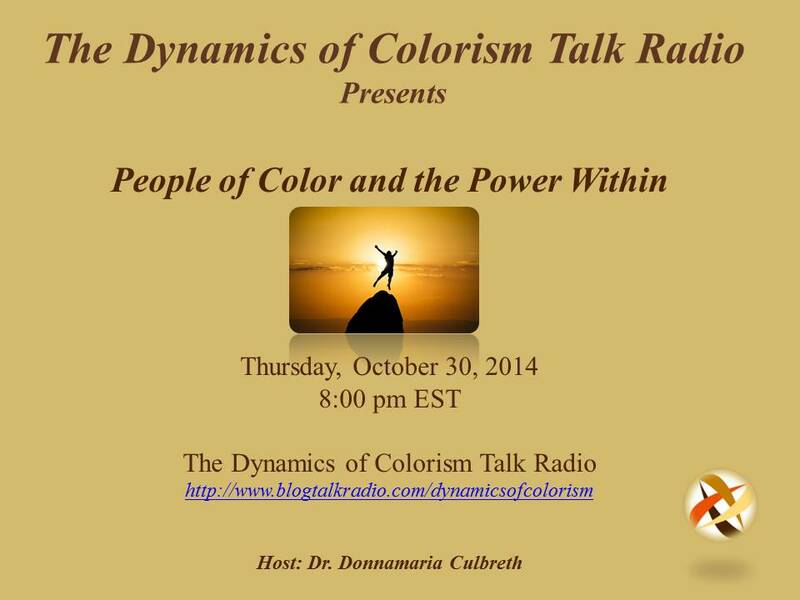 Join Dr. Culbreth for People of Color and the Power Within: Reaching Higher Ground. The last show before our two-year anniversary show next week! A review of the best 2014 episodes. Features: VOTING, What does it take for people of color to reach higher ground? How do you define success? Do you have the power within? Knowing your agenda and learning how to drive and stay in your lane. Fabulously Fifty Self-Love and Women of Color. 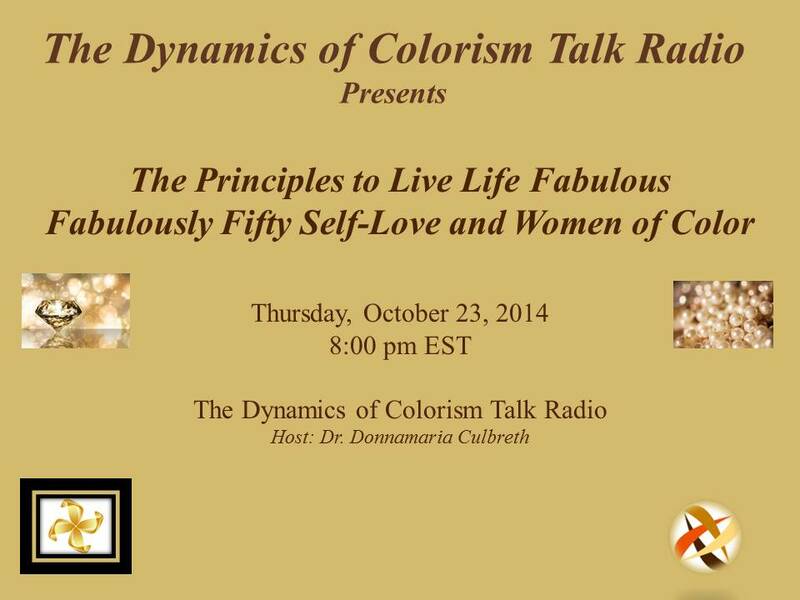 Join Dr. Culbreth as she explains the Principles to Live Life Fabulous for women of color and shares excerpts from her new book: Live Life Fabulous. The Principles to Live Life Fabulous. All on board the Fabulously Fifty 747- Destination Fabulous! All on board the Fabulously Fifty 747- Destination Fabulous!. The Fabulously Fifty 747- Destination Fabulous! The Fabulously Fifty 747- Destination Fabulous!. Live Life Beautiful & Live Life Fabulous.